Isle of Bute Gin came about after Head Distiller Simon Tardivel met Merchant City Brewing Co at an industry event. With a passion for craft drinks and a desire to explore the gin market, the Isle of Bute Gin team purchased a 200 litre still in 2018 and currently use the Merchant City Brewing Co premises in Glasgow. The team have plans to establish a distillery by 2020 on the Isle of Bute - a tiny island on Scotland's west coast. 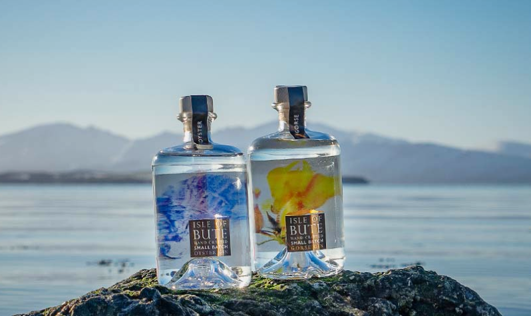 Isle of Bute Gorse Gin features botanicals including juniper and handpicked gorse from Bute. "Crafted with love and care in Scotland, Isle of Bute Small Batch Gin is inspired by its island home. Head Distiller, Simon Tardivel, fell in love with the Isle of Bute while working there." Also try Isle of Bute Oyster Gin, and for more gins from nearby Scottish islands, try Colonsay Gin from Colonsay and The Botanist Gin from Islay. More gins featuring gorse include Greensand Ridge Gin, Caspyn Gin and Fort Gin.